Cybercrime, internal breaches, compliance infringement and more can hurt your business. In addition to expensive fines and lawsuits, a security breach can result in a damaged reputation and loss of revenue. Due to the growing sophistication and perseverance of cybercriminals, network firewalls are proving to be insufficient security measures. Organisations need to fortify their endpoints behind the firewall, including network printers. But print security can be complicated. Enterprise-level multifunction printers (MFPs) have more than 250 security settings. Keeping devices, data, and documents secure across the fleet requires specialised knowledge and can be time-consuming. Let Vision and HP Secure Managed Print Services (MPS) manage security so you can focus on your core business. You can count on Vision to help asses you risks, secure and manage your fleet, maintain printer security compliance, and keep everything up to date with the latest protections. Vision and HP are taking the lead to provide technologies and services that reduce the burden on IT while improving security across your print environment. 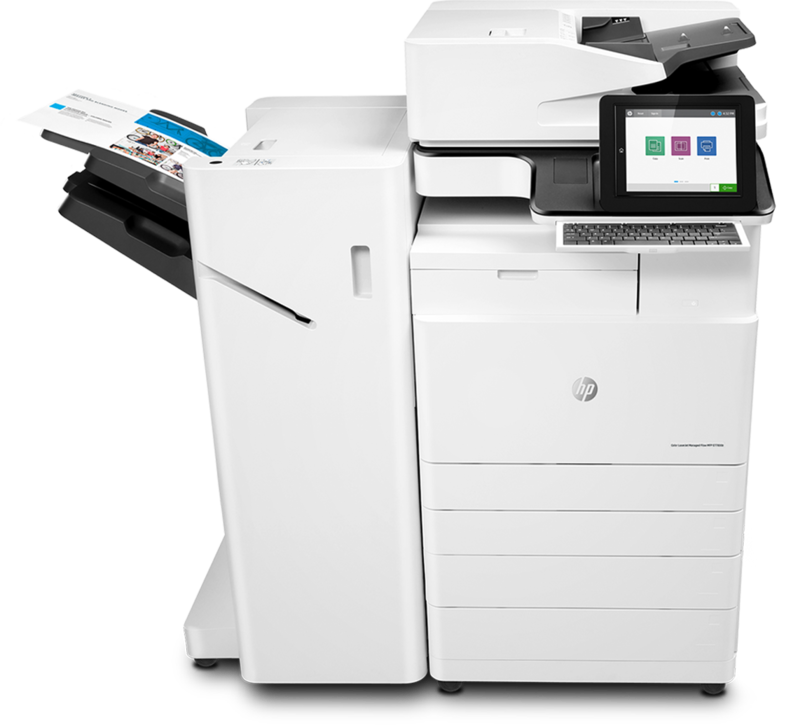 Only HP print security offers real-time threat detection, automated monitoring, and built-in software validation. We infuse security into every aspect of our Managed Print Services. We have evolved our delivery processes to address the top security controls around device hardening, maintenance, data encryption, and built-in malware protection in our devices. Add Vision and HP Print Security Professional Services to your Secure MPS contract to get further layers of protection. Credentialed security advisors can help co-develop and deploy a customer plan to advance your print security to address people, processes, and compliance requirements. Vision and HP Print Security Advisory Retainer Service provides ongoing access to advisors to evaluate your security plans on a regular basis, plus ad hoc support for compliance audits. Critical gaps can occur at multiple points within your environment. Creating a complete imaging and printing security strategy requires coordinated protection of devices, data and documents, plus comprehensive security monitoring and reporting solutions. With Vision and HP Secure MPS, you’re more secure on every level, so the trouble that’s out there stays out. You’ll gain more efficient management of your assets by utilising the right mix of single and multi-functional, colour and mono devices and improving the cost effectiveness and productivity of printing. On completion of our comprehensive Audit and Discovery process, our recommendations are based on a thorough understanding of how you work and what you need from a highly efficient Managed Printing Solution. And, of course, we implement the solution and provide after-sales support and Account Management that drives continued improvement throughout the contract life. Contact us to find out how Vision's Managed Print Services can consistently drive savings, efficiency and continuous improvement. Following a move from two offices to our Head Office in EC1, Vision recommended the right solutions delivering reduced costs and wastage and implementation of secure printing which will help us deliver our legislative requirements. I have been impressed withthe service from Vision.